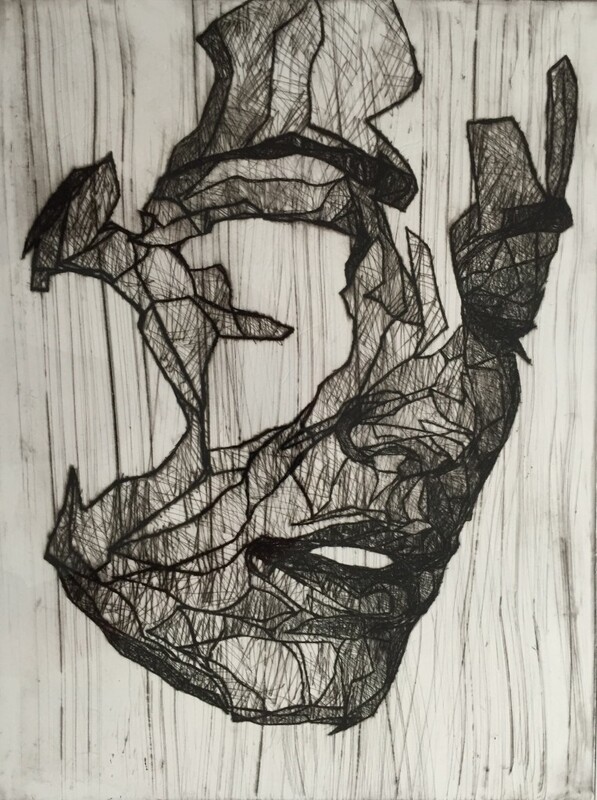 “Study for a Fragment V” – Ink on scratched plastic, 40x30cm, unique. These studies are an opportunity for me to experiment with printmaking and drawing techniques. Drawing is my first passion and is essential for me to understand the line, shape and volume of my subject.